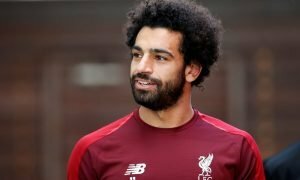 Arsenal and Liverpool on alert as prime-target skips training | The Transfer Tavern | Where football transfer rumours fly or die! 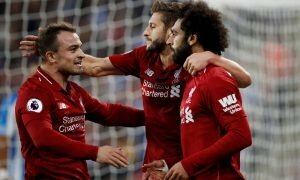 Arsenal and Liverpool fans are rubbing their hands in anticipation and reserving a bottle of bubbly, with reports filtering through that a star player could arrive in the Premier League this month. The Independent report that Pierre-Emerick Aubameyang missed training with Borussia Dortmund this morning, sparking fresh rumours that he could leave the German side in January. The Bundesliga side stated he was absent for permanent reasons but that hasn’t stopped the rumour-mill, which continues to churn fresh speculation on a regular basis. With 18 goals already in the Bundesliga this season, the 26-year-old Gabonese international leads the scoring charts and has risen to form; which led chief executive Hans-Joachim Watzke to address the situation earlier this week. Our landlord believes that Aubameyang will be on the move this year but doubts a January switch will develop. Will Aubameyang be a Premier League star by February? Let us know in the comments below!